Click the button below to add the Dresden Du Jour PDF Pattern to your wish list. 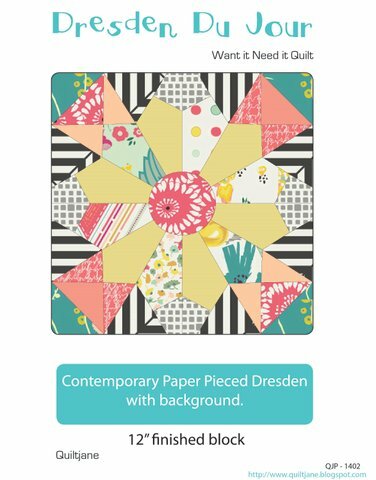 Contemporary Paper Pieced Dresden with a background. Finished Block Size : 12" x 12"
I haven't made it yet but am looking forward to doing it.